Now that almost everyone on the planet has seen Star Wars: The Force Awakens, it’s officially time for BB-8 to finally take the merchandising torch from R2-D2. We’ll definitely miss Artoo, but how could we ever say no to products like this life-size BB-8 floor lamp? An original ThinkGeek creation, the lamp stands 66 centimetres tall and is made from formed aluminium so it’s something your grandkids’ grandkids will be able to pass on down the family line. 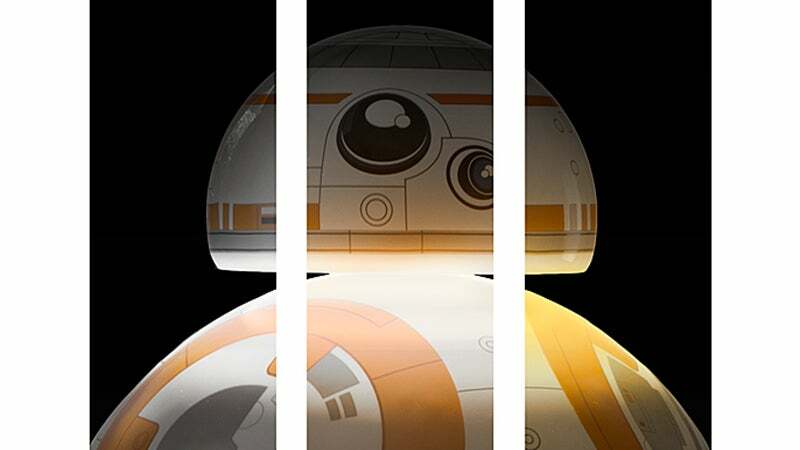 A set of LEDs underneath BB-8's head cast a soft glow onto the droid’s body where it’s then bounced into a room. And for those who foolishly complain about LED lighting looking too cold, the lamp actually has three different colour temperature settings that can be cycled by simply tapping BB-8 on the head: cold white, amber, and warm white.